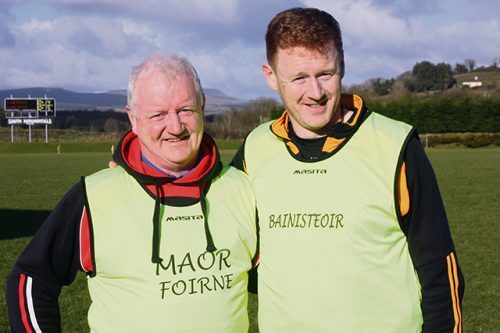 Trailing by two points with ten minutes remaining and already reduced to 14 players, Lancashire’s hurlers looked in serious trouble against Leitrim in Ballinamore last Sunday. But they dug deep and battled back into contention before wing back Nathan Unwin hit a 69th minute winning point, to seal a dramatic 0-15 to 0-14 victory. Manager Stan Murray-Hession was understandably very proud of the effort of his charges after surviving a real characterbuilding test from the 2017 Lory Meagher Cup finalists. “After last week’s great start (vs Tyrone) this clash was always going to be a different test and I have to confess that there were times when I felt things were going against us,” Murray-Hession told the Irish World. “In tight situations small margins can make all the difference and that can even include decisions that go against you as in the case of the disallowed goal and also the first-half goals we left behind.